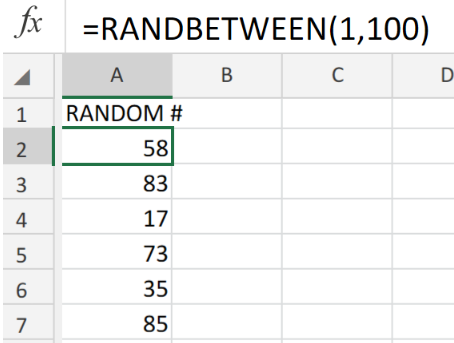 Figure 1. of the Randbetween Function in Excel. Lower (required) – The smallest number integer within the range we have specified. Upper (required) – The largest number integer within the range we have specified. 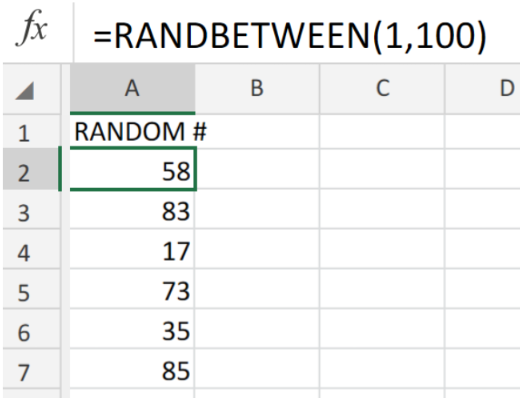 How to use the Randbetween Function in Excel. Select any cell in our Excel sheet. In the example illustrated below we have selected cell A1. Figure 2. of the Randbetween Function in Excel. Input the formula syntax =RANDBETWEEN(40,85) into the formula bar for cell A1, then press Enter. Figure 3. of the Randbetween Function in Excel. 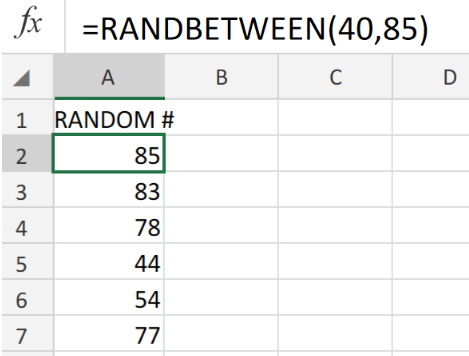 The Excel RANDBETWEEN function will by default, generate new random number integers whenever we effect a change on our worksheet. This includes any editing made on our worksheet, also also when we are simply opening our worksheet. I want to generate random number between 1 and 6. Can you show me which formula can help? I have a list of random generated numbers from 1 through 100. I need a formula that will list the number of instances for each number 1 through 100. For example: My list generates 1000 random generated numbers between 1 and 100. I want to know how many times the number 50 is resulted from the 1000 random generated numbers. I need to generate two random numbers that cannot be equal. The number range is between 1 and 5. Currently I am using the Randbetween formula in two side by side cells. But I need advice on how to make sure they are never equal. 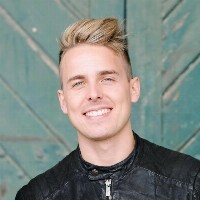 GENERATE A LIST OF 20 UNIQUE RANDOM NUMBERS BETWEEN 1 AND 100.